To be honest, our favorite kinds of cookies are the simple ones. 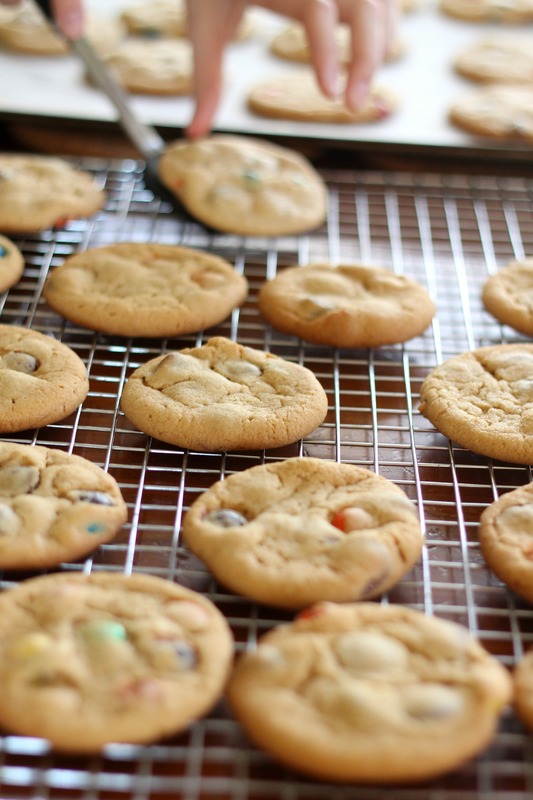 Chocolate chip cookies are a given; dessert perfection in one cookie. Peanut butter and sugar cookies are another reason that we think simple is better. Why fix what’s not broken, right? However, it’s always fun to try something new, especially when making them for a school bake sale. 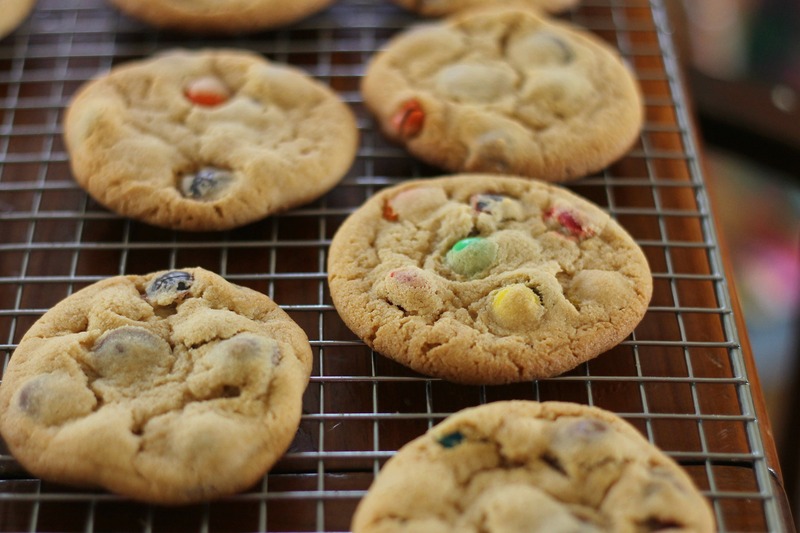 So, for these cookies, we took our favorite basic peanut butter cookie recipe and added mini peanut butter cups and M&Ms. Yes, it tastes as ridiculous/delicious as it sounds. When warm, these cookies are soft, chewy, and full of melted chocolate. Once cooled, they are pretty crispy except for the occasional peanut butter cup and the slightly chewy center. Peanut butter cup bites are the best, by the way. The next time you are thinking about making plain old cookies, give these a try and let us know what you think! In a large mixing bowl, beat the butter and the peanut butter with an electric or stand mixer on medium-high speed for about 30 seconds. Add the granulated sugar, brown sugar, baking soda, salt, and baking powder. Beat until combined, scraping the sides of the bowl. Beat in the egg and vanilla until combined. Beat in as much of the flour as you can with the mixer. If needed, stir in the remaining flour by hand. Stir in the M&Ms and peanut butter cups. If the dough is too sticky, chill until it is easy to work with. Shape the dough into 1-inch balls. Place 2 inches apart on an ungreased cookie sheet. Flatten slightly. Bake at 375°F for 7 to 9 minutes, or until lightly browned. Let them sit on the sheet for a minute or two, and then transfer to a wire rack and let cool. Enjoy!